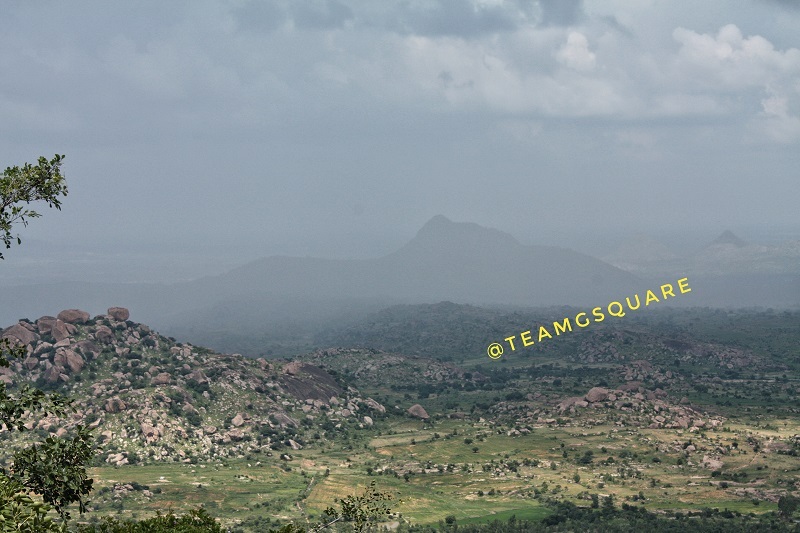 This was our fourth attempt to reach Channarayana Durga and finally we made it. Every time we thought of exploring this place, we would find some other place intriguing. Hence, it would always be the first to be considered during our next trip. 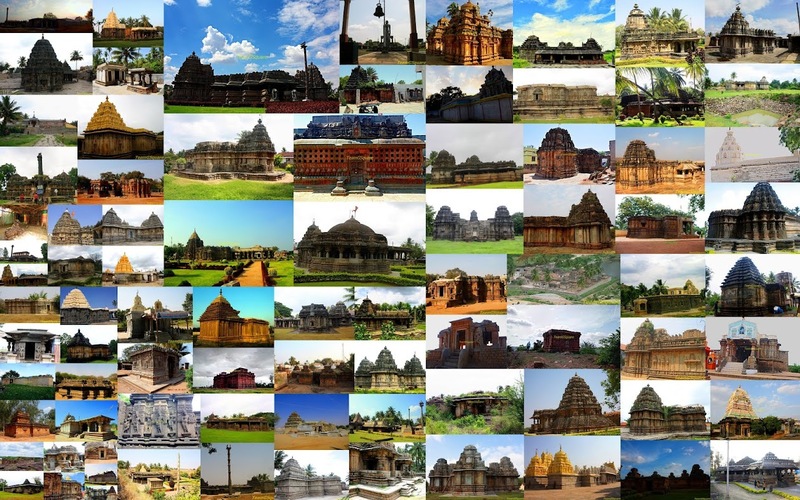 This happened thrice because of which we ended up discovering Heggunda , Mahimapura and a few places at Tumkur . Finally, when we arrived at this place, we were shocked to see such a magnificent structure on the hill top. 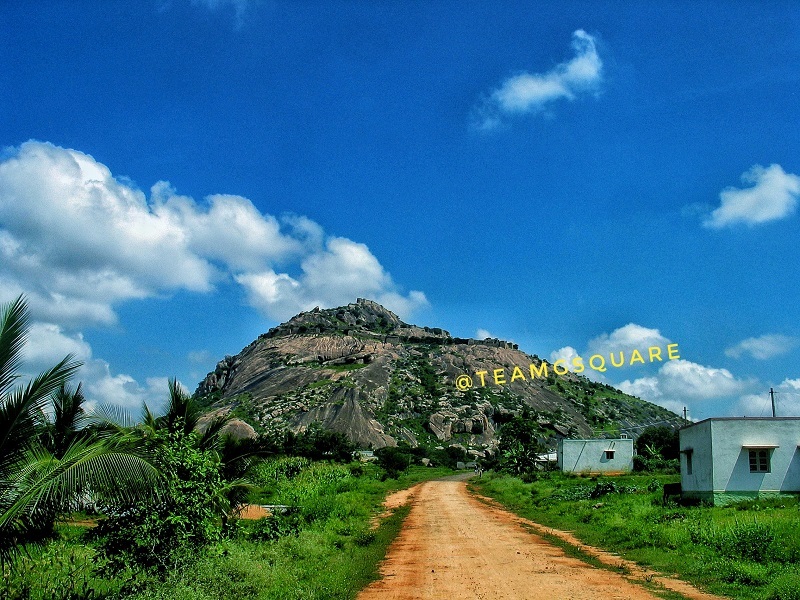 "Channarayanadurga" is a small village situated in Koratagere Taluk , Tumkur. It's major attraction being the hill fort. 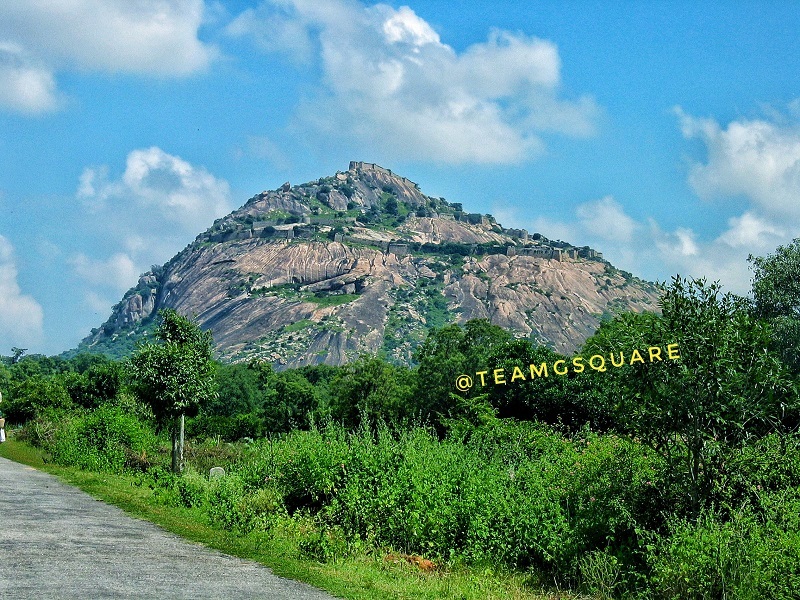 The height of the hill is around 3700 ft above MSL . 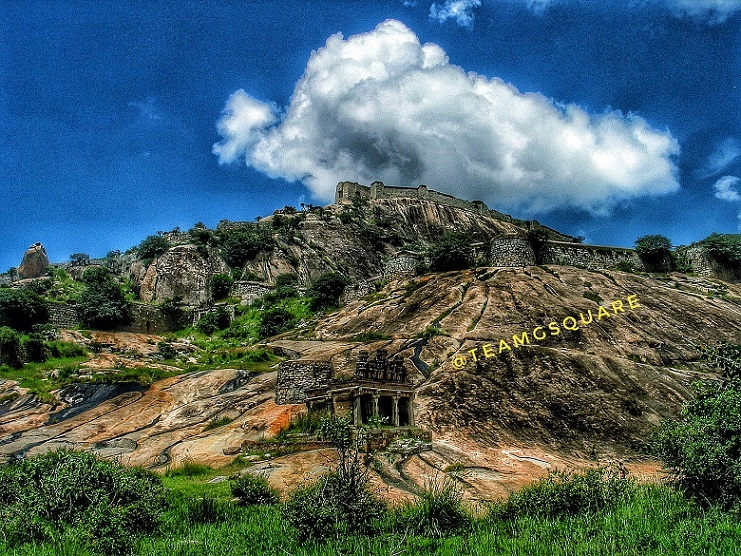 This fort was built by Madhugiri chief Channappa Gauda during the 17th century and then captured by the Marathas. Some years later, they were able to recapture this fort . But, it did not last long. 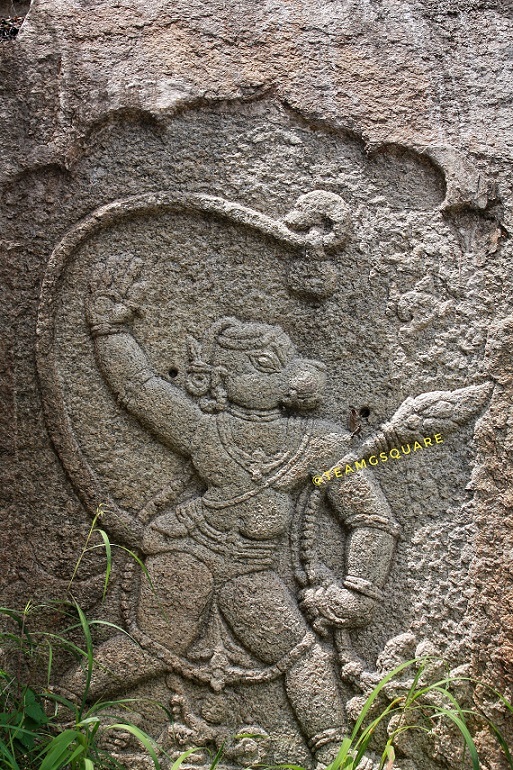 It was then captured by Komaraiyya, the general of the King of Mysore. 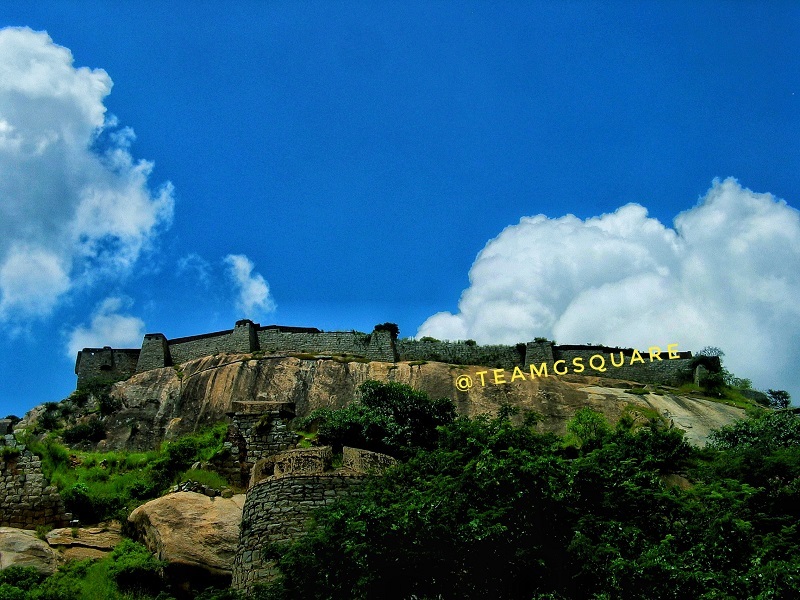 Later, it was captured by Haider Ali and again , the Marathas, under Madhava Rao took in charge of the fort .Later, it was the turn of Tippu Sultan to capture the fort .Finally, during the third Mysore war, British army surrounded the fort ,captured and then abandoned forever . 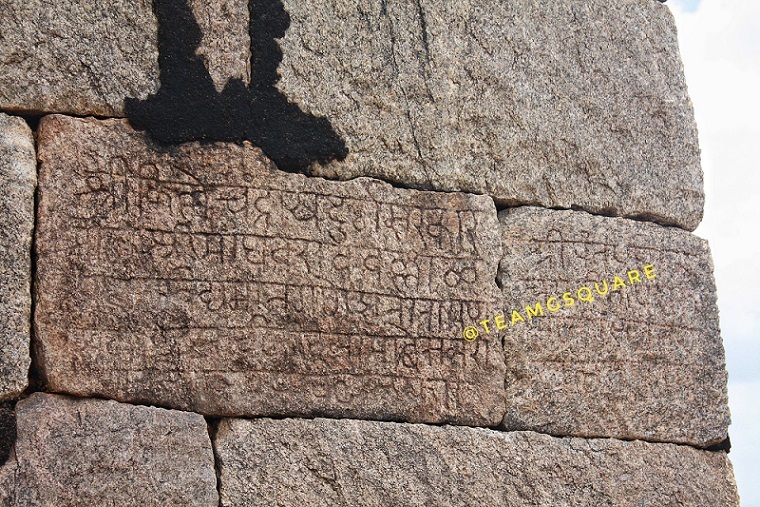 There is an inscription on the entrance of the fort in Marathi speaking about the capture of this fort by Sri Pant Pradhan and Madhava Rao Ballal Pradhan .All this happened within a duration of 60 years. The initial climb was slippery because of the heavy rains that poured previous night .As we gained height, it seemed to be an easy walk. It is a four tiered fort. Once we crossed the first tier, we came across a beautiful temple besides a pond. This reminded us about the importance of Rain water harvesting which was one of the main features in most of the other hill forts. 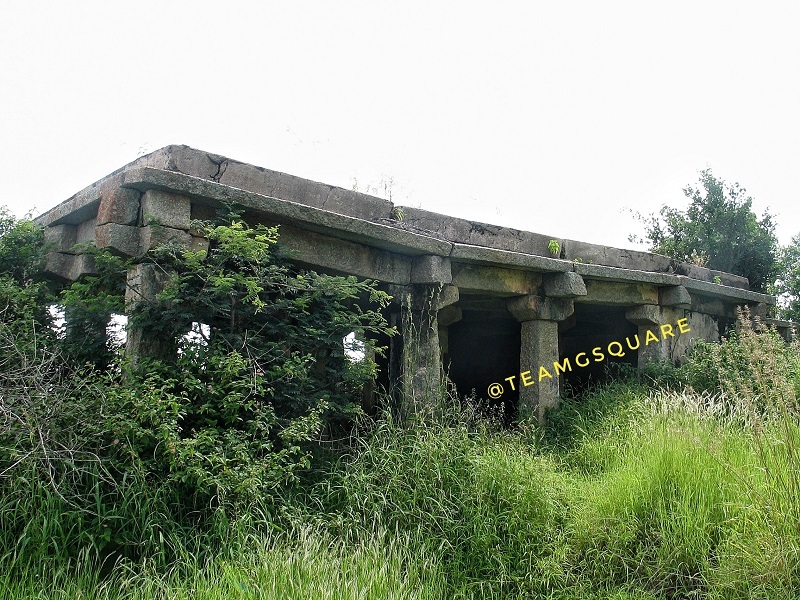 As we proceeded further, we came across a few structures that were probably used as horse stables. 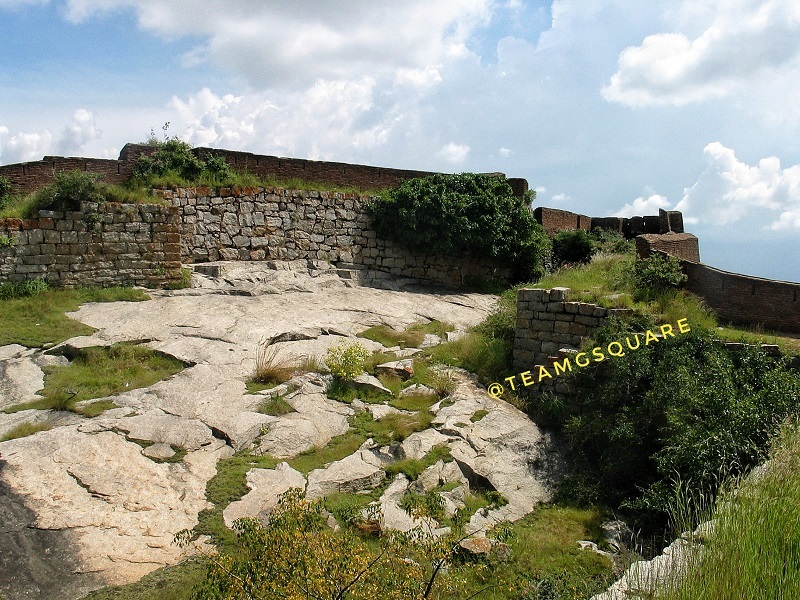 We reached another entrance in the same fortification which took us to the outside of the fort. 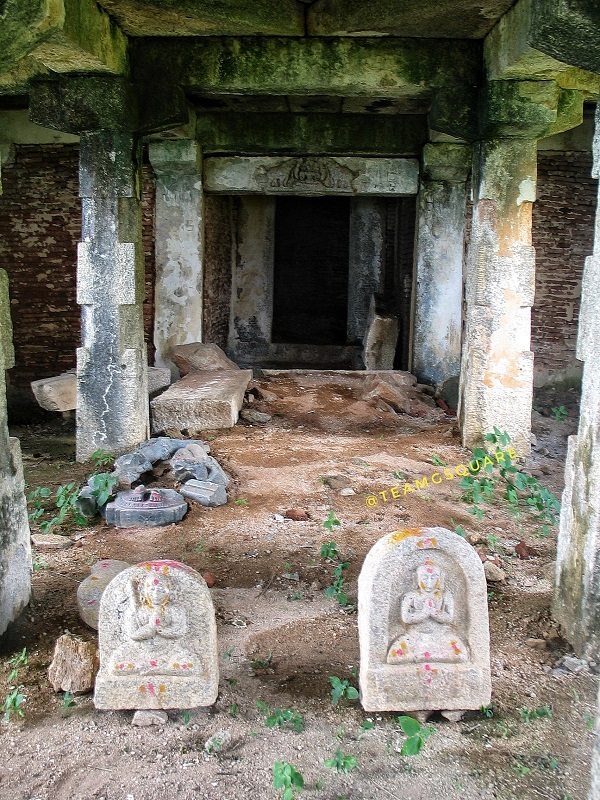 This seemed like the main entrance since it had a big Mandapa (Hall) with pillar, for people to rest after the climb and also had steps leading to it from the bottom of the hill. After investigating the main entrance, we climbed further to reach the next tier. 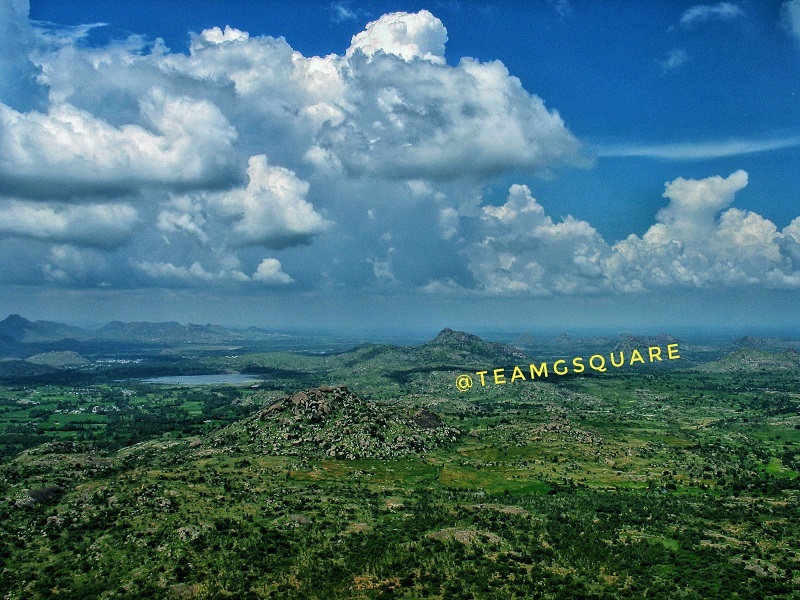 Here, we found a few structures that probably formed a small colony where soldiers and the king's people resided.Finally, we reached the last tier of the fort. The view from above was breath taking. 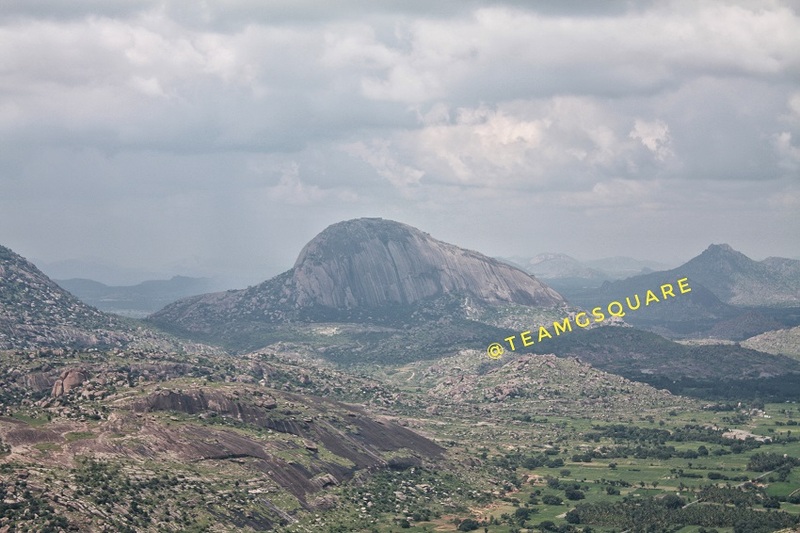 One can spot the mighty Madhugiri hill which also has a fort and is the highest monolith in India. During our descent, we came across a ruined temple. Behind the temple, were two granaries used for storage. 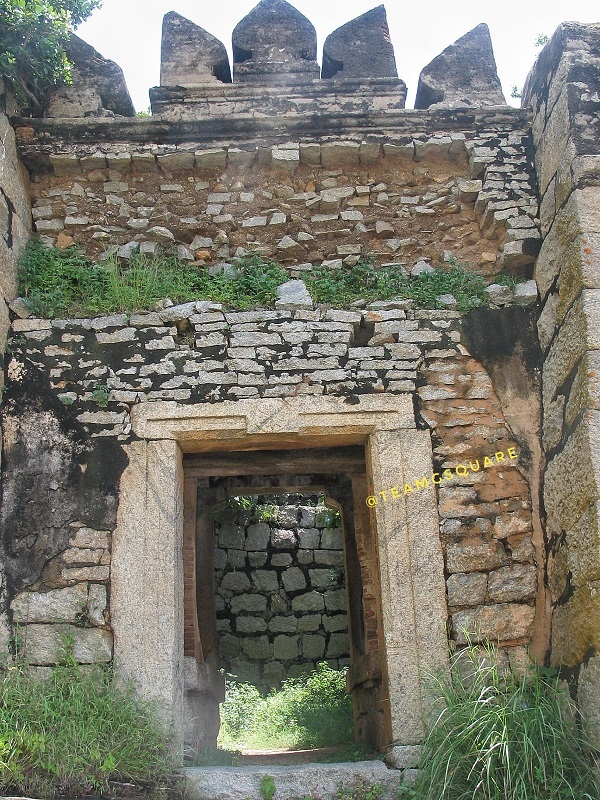 Most of the structures were intact and its surroundings clean even without any kind of maintenance. there were no signs of ASI in this place. 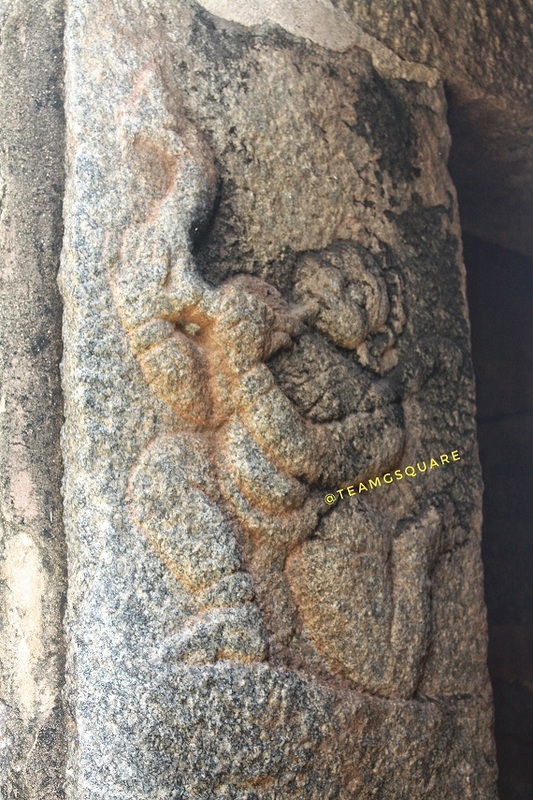 Directions from Bangalore: Bangalore - Dabspet (NH4)- right turn - Koratagere (SH3) - proceed further - left turn towards Siddara betta - right turn towards Channarayanadurga . Total distance : 95 kms . A magical place... Looks very very beautiful! Great sculpture. 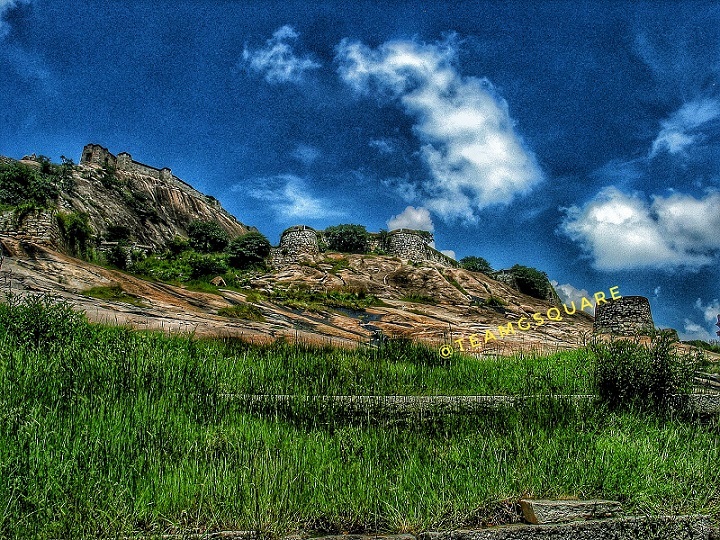 Awesome shots of the fort. traveling through your blog is superb and the picture are so relaxing. 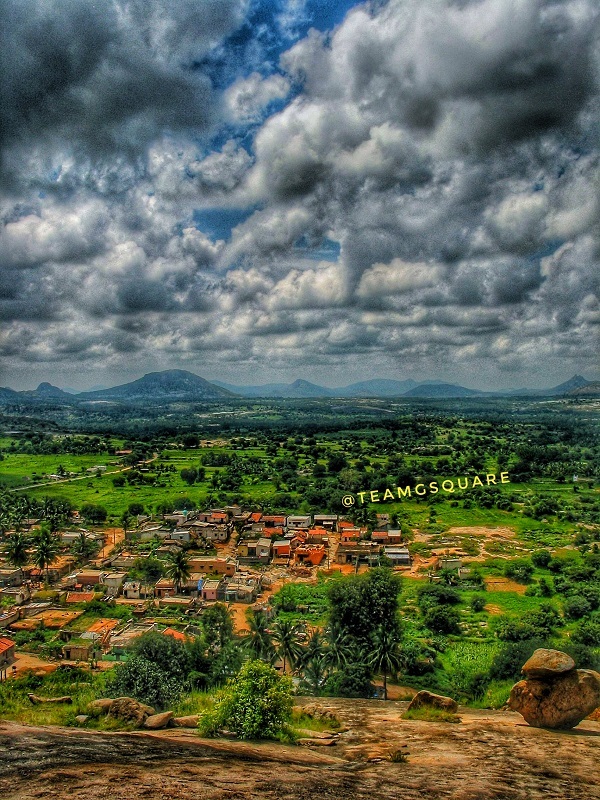 Hello.. Nice Blog.. Nice pics.. Channarayanadurga is a hill station near Tumkur. It is good place for trekking and rock climbing. It became a sure bone of contention between the Marathas and the Mysore Wodeyars. Wow! The fort is pretty camouflaged in those surroundings. 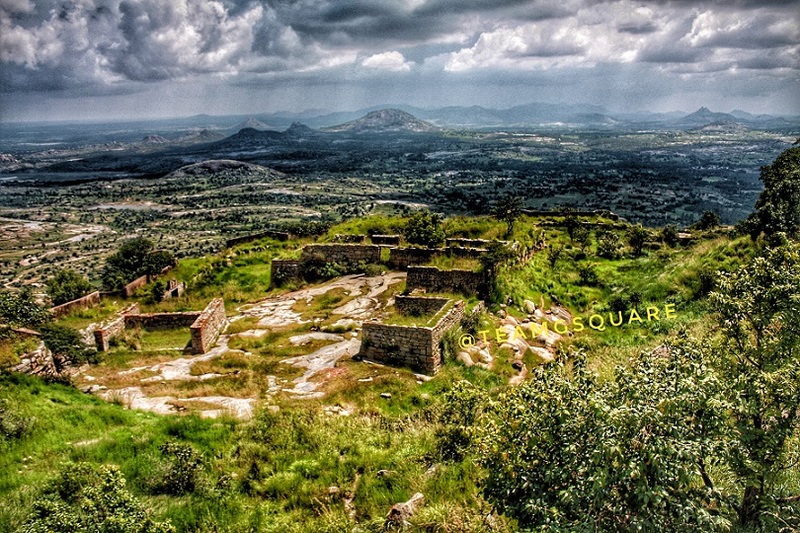 Nice to know about the Channarayana Durga Fort.